The latest addition to be entered on the museum database is a collection of handbills, a number of them from local stations. The one pictured here is obviously of interest to Chasewater Railway members, being a return trip to Sutton Park, leaving from, amongst other places, Brownhills (Midland) station and Walsall Wood. This was the Midland line which extended into the Cannock Chase coalfield, passing through our present Brownhills West station. How about the price? 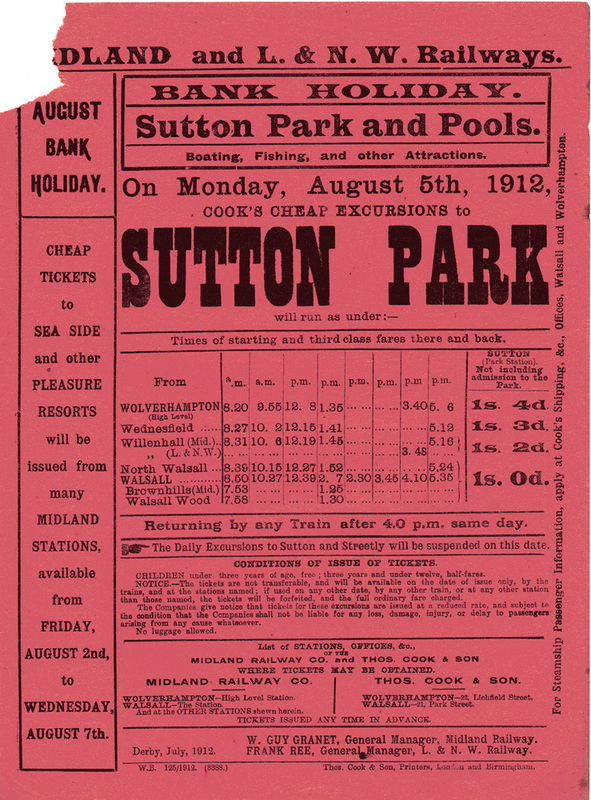 – 5p return to Sutton Park in today’s money! 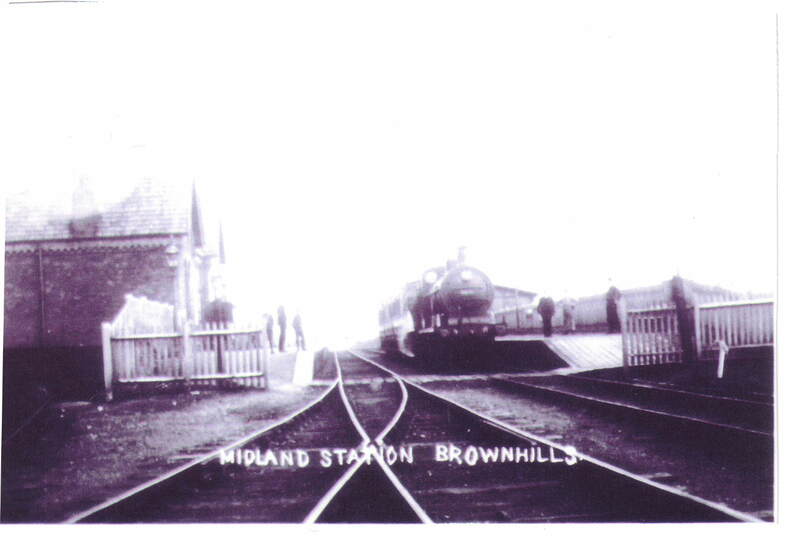 The Brownhills (Midland) station was situated between the A452 Chester Road and the A5. We have others of local interest which I shall post here in the future, but I haven’t as yet come across any more from Brownhills – but I shall keep on looking!! This entry was posted in From the Archive and tagged Aldridge, Brownhills, Brownhills (Midland) station, Burntwood, Chasewater Railway Museum, Cheslyn Hay, Great Wyrley, Heath Hayes, Lichfield, Midland Railway, Old Railway Lines, Pelsall, Staffordshire, Sutton, Sutton Park, Walsall Wood. Bookmark the permalink.